Are you an active type, always running, skiing, rock climbing, fishing, running through airports? Yeah, me either. However I am a fumble fingered son of a gun. So, I was extremely pleased when I was asked to review the Kenu Highline Casefor the iPhone 6 Plus. As well as being impact-resistant, the case is also textured, which improves your grip on your iPhone 6 Plus, which users know is not only huge, but slippery. The texture aids in the grip, which helps keep you from dropping it while in use. The case wraps around your iPhone, and has a raised edge to keep the screen of your device from making contact with any surfaces. The elastic leash has a Kevlar core, so it should stand up to a great deal of punishment. The leash attaches on one end to your iPhone and the Highline case. The “Lightning Lock” latch slides into the Lightning port on your iPhone, while a snap latch clicks onto the case itself. The connection snaps in place, making a firm connection, keeping your iPhone attached to the elastic leash. The other end of the leash consists of an attachment loop, which allows you to loop through zippers, belt loops, purse handles and more. Kenu says the attachment loop is also made of kevlar, so the loop should also stand up to wear and tear. I’ve used the Highline for about 2 weeks, and I have to say it has come in handy. I’ve always had a tendency to drop my iPhones, and the large size of the iPhone 6 Plus has only added to that possibility. While I’ve only used the leash when I’m out and about, connected to my jacket’s zipper, I’ve used the case itself continuously,and the case has protected my precious handset the few times I’ve dropped it. The Kenu Highline is a must have accessory for active users, or for folks like myself who just tend to drop their iPhone. The case does a good job of protecting the handset, while the elastic leash gives added peace of mind when using it anywhere there’s the possibility of dropping, and possibly losing the device. The elastic leash also gives added peace of mind when in crowds, giving a bit of insurance against a bad guy possibly slipping the device out of your pocket. The snap in feature of the leash would at the least likely cause a pickpocket to fumble a bit, hopefully alerting the user that someone was attempting to make off with their iPhone. The Kenu Highline is available for the iPhone 6 ($29.95), iPhone 6 Plus ($34.95), iPhone 5/5s ($24.95), and iPhone 4/4s ($19.95). Extra elastic leashes are also available for $14.95 so you can have spares for jackets, purses, etc. Pricing: iPhone 6 ($29.95), iPhone 6 Plus ($34.95), iPhone 5/5s ($24.95), and iPhone 4/4s ($19.95). Available at the Kenu website. The combination of a case and a leash help avoid tragic falls for the iPhone. I like the elasticity of the leash, allowing me to have my jacket zippered, while still keeping my iPhone in my jacket pocket. The textured surface of the case helps prevent your iPhone 6 Plus from slipping out of your hands. A fully-enclosed waterproof version. My wife works around water, and while she liked the idea of the leash, she noted that the case itself would need to waterproof the iPhone as well for it to be of value to her. Perhaps a layer of a more tactile material on the case to give an even better grip. For more information about the Kenu Highline, as well as Kenu’s other products such as the soon to be reviewed Airframe+ Car Mount, visit the Kenu website. 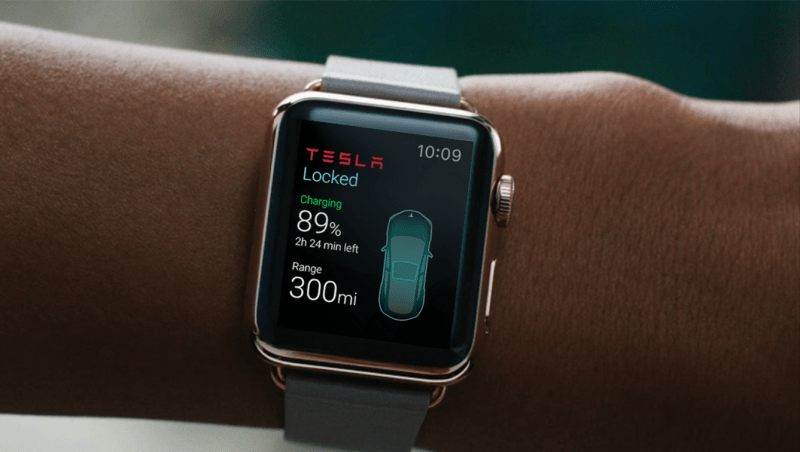 Third-Party Tesla App Provides Look at Opportunities and Limitations of Apple Watch Development. Apple made its WatchKit SDK available alongside the release of iOS 8.2 and Xcode 6.2 beta in November, enabling developers to begin creating apps and software for the wrist-worn device. Looking beyond mockups and conceptual apps, however, a new third-party Tesla app designed by Eleks Labs offers insight into both the opportunities and limitations that developers face with the first-generation Apple Watch. According to Eleks Lab mobility business developer Markiyan Matsekh, the technical capabilities of WatchKit do not match the expectations set during the Apple Watch keynote. In developing a prototype Tesla app that allows users to control a Model S over the Internet using a web-service API, the team of software engineers found a lot of functionality to be unavailable to developers at this time. Matsekh claims that developers do not have access to the Apple Watch’s gyroscope, accelerometer, built-in speaker and microphone or Taptic Engine system of tactile notifications for development. Additionally, despite the Apple Watch display being touch sensitive, he claims that only Force Touch, which displays the shortcut menu, is available for developers, while GPS is restricted to a paired iPhone. Even with its current limitations, this Tesla app provides an early look at the opportunities that Apple Watch apps make possible. The multipurpose software brings a lot of Tesla car control functionality to the wrist, such as an overview of the car’s battery, temperature and mileage, a controls menu for opening or closing the car and activating the headlights, and various screens related to charging, climate, location and the car’s condition. Despite claiming that the Apple Watch has “weak potential for programmers” based on its current emulator-only development environment, Matsekh recognizes that his assumptions are based off of the first WatchKit SDK available to developers. As with the iPhone and iPad, the first-generation Apple Watch will inevitability have some developmental hiccups that are ironed out over the years. Apple CEO Tim Cook confirmed at the company’s quarterly earnings call on Tuesday that the Apple Watch is on schedule to ship in April, likely alongside a new version of WatchKit. We learned that Apple has asked some developers to have Apple Watch apps ready for mid-February. In a short few months, a clearer picture should emerge of just how much potential Apple’s first wearable device has for developers. App for Instagram – InstaFeed [OS X; Now free, down from $4.99] Experience the best of Instagram today with InstaFeed! Engineered from the ground up, InstaFeed was designed exclusively for Mac OSX. Enjoy the sleek user interface, seamless browsing, quick loading, and its suite of Instagram tools. DragonLair [iOS Universal; Now free, down from $0.99] [DragonLair] has 60 floors, numerous dungeons, puzzles in each dungeon, and missions will entertain you. Axe in Face [iPhone; Now free, down from $0.99] Axe in Face – Defense of the Daffodils. Memly [iOS Universal; Now free, down from $0.99] Put Your Mind to the Test. KnockClock Alarm [iPhone; Now free, down from $1.99] KnockClock is an innovative alarm clock that lets you snooze/stop the alarm by simply knocking either on the phone or on the surface where it is placed. Cloud Knights [iOS Universal; Now free, down from $1.99] Cloud Knights is a physics-based action game with an epic fantasy adventure style. YouPlayer – Playlist Manager for YouTube. [iOS Universal; Now free, down from $1.99] Watch videos like you are used to! Access all videos with YouPlayer – Playlist Manager for YouTube, powered by YouTube! Hydra – Amazing Photography [iOS Universal; $2.99]Hydra offers innovative photo capture technology, and lets you take beautiful pictures even in the most difficult lighting conditions. BlitzKeep [iOS Universal; $3.99] BlitzKeep, where pinball meets an RPG! Before and After videos: Show the original photo and the result with an awesome video that you can share everywhere! Intensity controls: You can now adjust the intensity of each effect, giving even more control over your final photo. New Effects: Old School, Valentine and HDR. New Texture Effects: You can apply textures to part of your photos: Fur, Film, Letterpress, Paper, Concrete, Puzzle, Old Map, Tree, Fabric, Clouds, Rust and Leaf. PicoPro: A laser projector about the size of an iPhone 6 Plus. Pico projectors – projectors that are so small that they can be slipped into a pocket on a backpack or in a briefcase. Designed to make presentations on the road less burdensome, pico projectors have always had one Achilles Heel – the visual quality of the image they project. A new projector from Celluon called the PicoPro (US$279) aims to bring high resolution and contrast, long battery life, and noise-free operation to tiny projects. The PicoPro was introduced to the world at CES 2015. Design-wise, the PicoPro is a tiny box that’s smaller in length and width than an iPhone 6 Plus. It’s divided into two “sections”, one that contains the actual projector and the other containing the various ports (HDMI, micro-USB for charging, headphone). There’s no need to focus the PicoPro, as it uses lasers to project the image and has infinite focus. It focuses as sharply an arms-length away from a wall as it does from 10 feet away. The PicoPro comes with a small carrying pouch, and with iOS devices you’ll need to supply your own digital AV adapter to connect to the HDMI cable. Unfortunately, PicoPro doesn’t support AirPlay, so all iOS and Mac connections will be through the HDMI cable. For those who are fans of this site who use other mobile platforms, a slightly less expensive version called PicoAir is available for $299 that works only with the wireless Miracast and DLNA interfaces. It’s a stylish little device, and one you won’t be embarrassed to pull out of your briefcase. With any projector, the proof is in the viewing. Just how bright is the image, and is it easily readable? Can the projector be used in a bright room, or does it require near-darkness. How much noise does it make? And does it do a good job of projecting Keynote and PowerPoint presentations? To test the PicoPro, I connected it to an iPhone 6 Plus using the Apple Lightning to HDMI connector and an included HDMI cable. My test documents were a number of Keynote presentations that I use while teaching an iOS class. Holding the PicoPro in my hand and wandering around my home office to find “targets”, I was able to clearly see the bright image from the projector on a variety of surfaces. Your best bet will probably still be to project onto a reflective screen in a slightly-darkened room, but I was able to project slides onto a textured ceiling in daylight and clearly read all of the text. Even on a very saturated blue wall with some daylight coming through windows, the text on my slides was very readable. The color reproduction of the PicoPro is incredibly good, and the image is sharp from edge to edge. The fact that you never have to focus is worth the price of admission. I don’t know how many times I’ve watched as a hot projector has slowly gone out of focus. There are some additional positives – it’s absolutely cool in operation and creates no sound at all. No more raising your voice to be heard over the scream of a cooling fan! Following is a video of the PicoPro from “Eli the Computer Guy” at CES; note that the flickering is due to filming the projection with a digital camera – in reality, the image shows virtually no flicker unless you’re moving it around. Up to this point, I haven’t been impressed with any of the pico projectors I’ve seen. However, that has changed with the Celluon PicoPro. The image quality and brightness out of this tiny box is stellar, and to think that it does it all without making a sound or getting hot. There are no expensive bulbs to burn out (those often cost just as much as the PicoPro itself! ), and using an iPhone, an adapter, and this projector makes for a featherweight presentation tool. My only negative is that the device doesn’t support AirPlay. The non-HDMI, wireless-only version of this project will sell for $299, and it would be awesome if Celluon would support iOS – the choice of enterprises everywhere. We were also unable to get word on a shipping date and retail outlets for the PicoPro. This iPhone-controlled Batmobile is the toy Batman deserves. I don’t care who you are. I don’t care if you don’t even like Batman. This beautiful, remote-controlled, iPhone-compatible Batmobile? It’s the toy that Gotham — hell, everybody! — deserves. Created by Soap Studio, the remote-controlled vehicle is a 1:12 scale recreation of the Tumblr from Christopher Nolan’s Dark Knight trilogy. Not only can you control it directly from your iPhone over WiFi, it even comes with a tiny little Batman figurine! Our Tumbler is fully controlled by the most advanced mobile app which capable to not only making the car run but also cockpit and spoiler movements, 16 super bright LEDs, Power-Jet mode plus special engine sound and visual effects, night vision camera for video and photo shooting,voice intercom, a 1:12 Batman which features 26 points of articulations, remote control LED display platform…etc. As a collective item or simply a playing toy,the Tumbler also reaches the highest degree of product furnishing. Naturally, a 1:12 scale Tumbler with this many features doesn’t come cheap. A Soap Studios Tumblr costs $569 each. 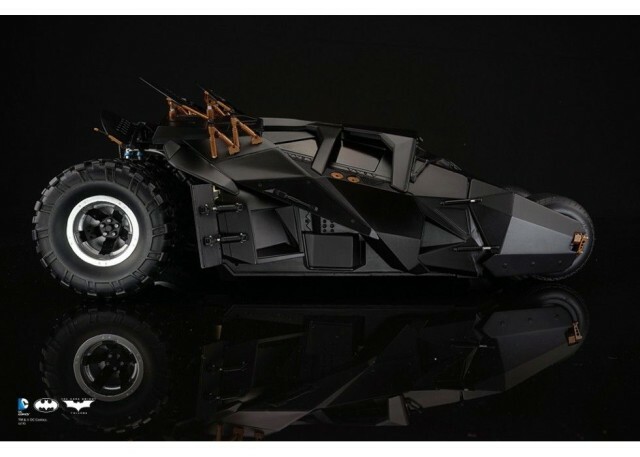 So yes, maybe it’s the Tumbler every hero deserves… but definitely not the one every hero can afford. 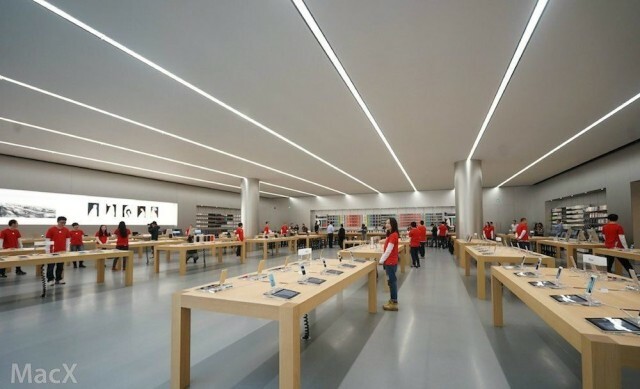 Take a sneak peak inside Apple’s gorgeous new Chongqing Store. As China continues its march to become one of Apple’s most important markets, the country’s press have been given a special advance preview of the company’s forthcoming second Chongqing Apple Store, set to open at 10am local time this Saturday, January 31. Not dissimilar to the concept behind Apple’s Fifth Avenue flagship store in New York, the new Chongqing Apple Store features a stunning glass structure emblazoned with the Apple logo, leading to an underground shopping area. 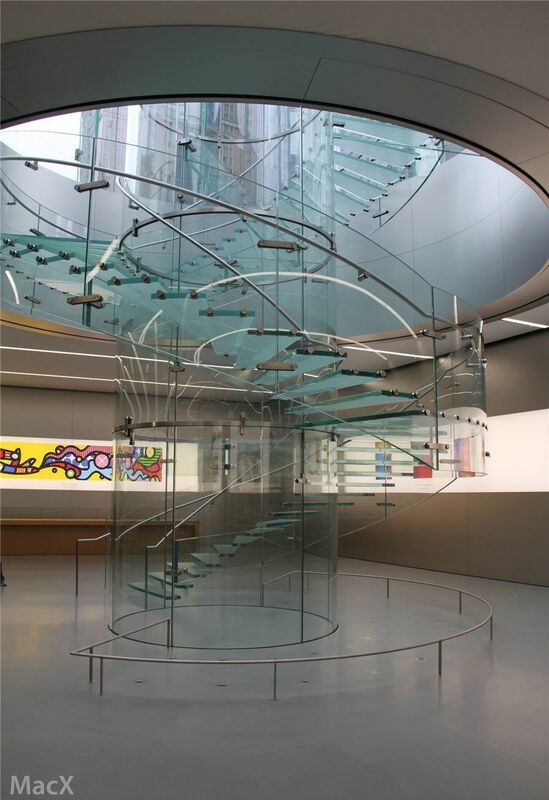 In doing so, the store recycles the design Apple first created for its Pudong retail store in Shanghai. Check out some some other beautiful inside images after the jump. To build anticipation for the store’s opening, Apple previously commissioned a giant mural from international photographer Navid Baraty and Chinese artist Yangyang Pan — which was used to cover the outside of the glass design ahead of its official unveiling. 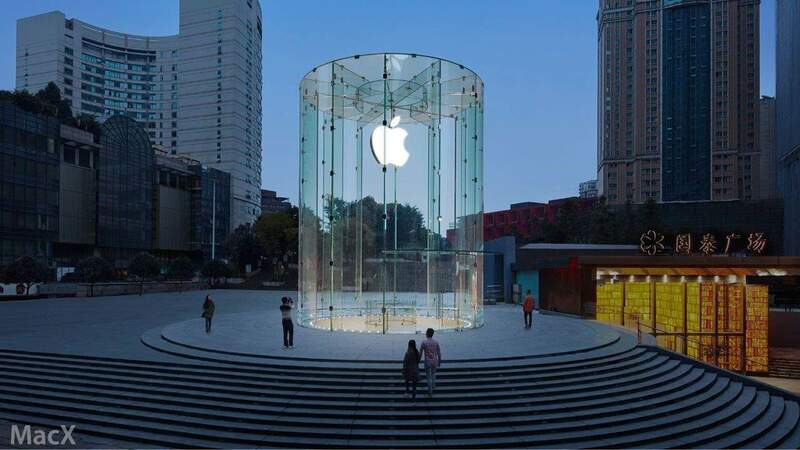 Tim Cook has stated that Apple will open a total of 25 new retail stores in China over the next two years. By doing this, Apple will greatly increase its retail presence in the country from 15 stores to 40 by 2016. If you live in China (or are visiting), and plan to attend the opening of the new store this weekend, drop us some photos here at Cult of Mac.